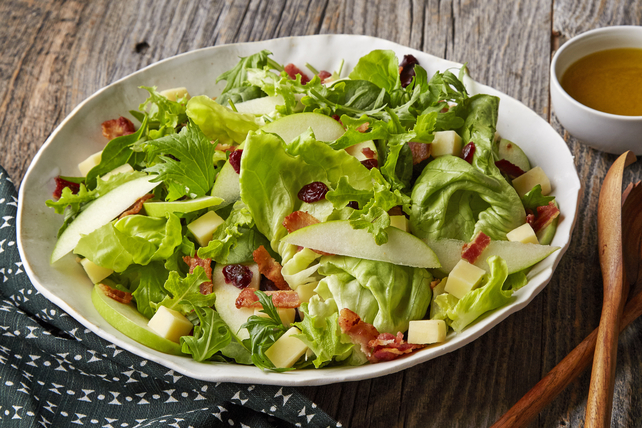 Get your veggies with this deliciously complex Mixed Green Salad with Apples & Cheddar. This recipe is set to become a staple salad on your table. Whisk first 4 ingredients until blended. Toss salad greens with remaining ingredients in large bowl. Serve salad with the vinaigrette on the side. This versatile vinaigrette can be prepared in advance. Refrigerate up to 1 week before serving.